Life by the drop…. | Nascent Naturals Inc.
Home Inspiration & Formulation Life by the drop…. 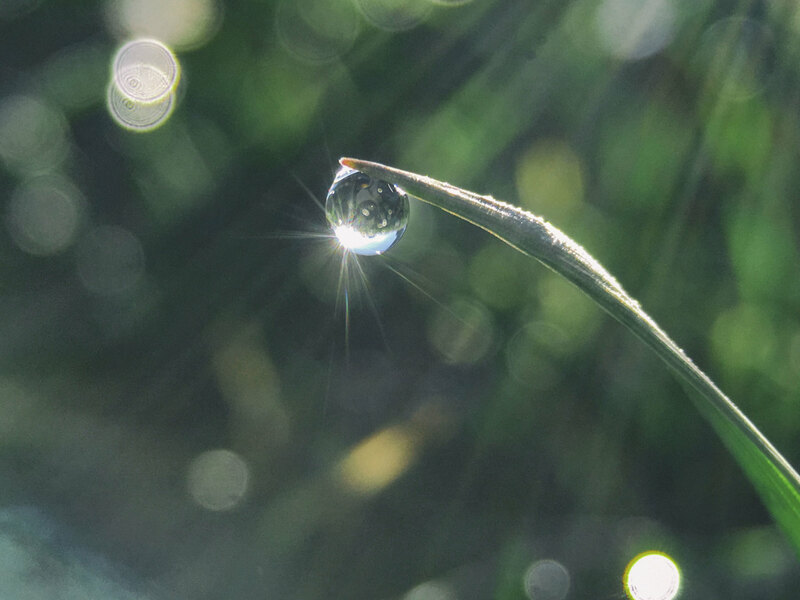 A perfect way to describe the key evolutionary state of plant life … and it all starts with a drop of rain, oxygen, hydrogen, sunshine, and nutrients. So inspiring, I renamed the company Nascent Naturals as the name reflects so many aspects of what we do. Every formula, remedy or concoction starts with a few drops of this and a dash of that. Just as a drop of water breaks the surface, sending its ripple effect for miles, so can a remedy applied to one person. Using natural ingredients benefits one’s physical well-being, environment and who knows – perhaps even the soul. The modern allopathic method of drug intervention influences people to follow external, preconceived ideas of health. Essential oils and plant life, by their very exposure, allows us to discover and pursue our own definition of healing. Through the emergence of technology we now understand more completely, that everything chemically contained in plants exists in each of us. To learn, to experience, to harness nature’s power, the slightest amount will do – just a drop, whether its essential oils, tinctures, or bio-active plant extracts. Knowledge operates in a similar way. The philosophy of this company is to educate and inspire people creating their own ideas, blends and formulas. So here I am creating and evolving along with you – one drop at a time. The nascent phase of almost anything occurs when new insight or perspective accompanies a change for the better. Just like food, essential oils are crops which are affected by the same environmental and market forces. Lavender from France and Bulgaria used to be responsible for the majority of the world supply, almost 200 tonnes. Weather issues have reduced their combined yield to less than 100 tonnes. Russia, China and Australia started to fill the gap but now their production is also down due to droughts. Demand for lavender remains high so the price will not be coming down anytime soon. As a result you now see 7 or 8 chemotypes, different types of Lavender with different properties, on sale which is confusing for the consumer. My recommendation is to stay with oils from France and Bulgaria with their proven track record. If you care about the purity of the oil, you just have to accept that you will be paying more for an oil that used to be very inexpensive.